UPDATE: download Clyde Hart’s 60 page Training Manual from the 2007 USATF NPEP Conference. Old news: Jeremy Wariner has a new coach. The rumour about the split was about money and how Jeremy wanted to reduce Clyde Hart’s commission, despite the increase amount of money Jeremy would be making. He told reporters in Beijing last week that Johnson had nothing to do with the coaching change. Wariner admitted moneyâ€ played a part in the split with Hart, but he said that was not the sole reason. 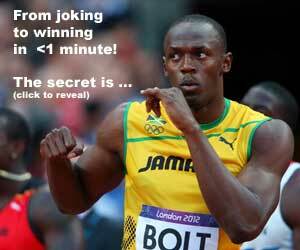 He has made it clear that he wants to break the 400 meter world record at the Olympics (see quote below). From a business perspective, honestly, why try to break the record after 3 rounds of 400s at the Olympic Games? He should win the Gold at the Olympics, then negotiate to run a 400m in Zurich or other high profile meet as a straight final invitational. Put him in Lane 3 with fast opening 200m guys in Lanes 4, 5, & 6. The Olympics are early enough to accommodate several warm weather meets with fast mondo tracks after the games. If he misses it, then try again in Berlin? As far as running world records in Golden League and Grand Prix meets, this wouldn’t be the first time athletes tried milking the system. Take a look at pole vaulters Sergei Bubka and Yelena Isinbayeva. They break the world record by 1 cm at a time. Talk about slicing the bologna thin! Then, of course, Bubka no-heighted in the 1992 Olympics! I guess there was no incentive? Or was there a mysterious reason why he didn’t want to medal? Just like Jurgen Hingston of Germany at the 1988 Olympic decathlon false starting at the beginning of the 100 meters! So, in my opinion, I don’t think Jeremy is motivated by money, at least that’s not the main reason why he and Coach Hart split up. Here is the article from www.smh.com.au. He also puts more energy into trying to break the long-standing 400m world record of 43.18 seconds set by his mentor, Michael Johnson, and winning his second Olympic gold, at Beijing. Wariner is launching his Olympic campaign from Australia and will run the 200m on Saturday night at the Sydney Athletics Grand Prix and his first 400m of the year at the Melbourne meeting next week. His recent record over 400m is phenomenal. In the past four years he has lost only four times over the distance (plus a disqualification for running out of his lane). There is no doubt Wariner wants to be the greatest. He doesn’t want to break just the world record – he wants to break the 43-seconds barrier.